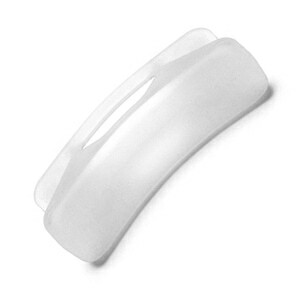 USAGE: Two sizes of Amara Headgear -- Standard and "RS" Reduced Size -- are available to fit a wide range of faces. Currently Respironics provides the "RS" Reduced Size Headgear with all Petite and Small Amara masks; and the Standard Size Headgear with all Medium and Large masks. Either headgear size can be used with any Amara mask. To determine which headgear you are currently using check the bottom straps of the headgear, near the Velcro tabs, to see if the letters "RS" are printed there. If they are then you are using "RS" Reduced Size Headgear; if they are not then you are using Standard Headgear. All Amara Silicone Full Face Masks and Amara Gel Full Face Masks. Not Compatible With Amara View Full Face Masks. 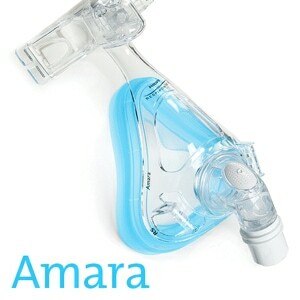 The headgear for Amara and Amara Gel full face CPAP masks is just OK. I like it, but it stretches out to easily and the velcro-like fasteners stop working after the material stretches. I love the mask, so I'll just put up with the headgear. I have had to buy many headgears for my husband's Amara mask because the little "Velcro-like" pads wear after a few weeks of use. These are made in the Dominican Republic and should be made with stronger 'Velcro-like" if not REAL Velcro pads. The shape of the headgear is excellent but the pads are not. He uses a BIPAP at a high setting, per his Doctor's instructions and needs to tighten the gear so the air will not escape. 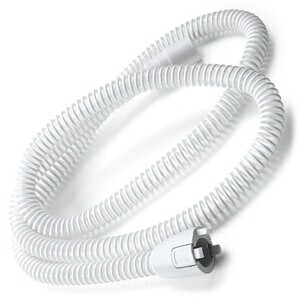 The Amara full face CPAP mask comes in two parts, three if you count the head gear. After a year of constant use and cleanings the silicon seal separated from its hard plastic shell. 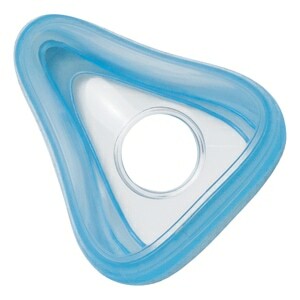 The beauty of this mask is the ability to replace the silicon seal part separately without buying the entire three piece package. (Although the three piece set is offered for anyone needing them.) I have not used other makes of this mask therefore, I can not make an honest comparison to other brands but had very good experience with Amara's for over a year's use.